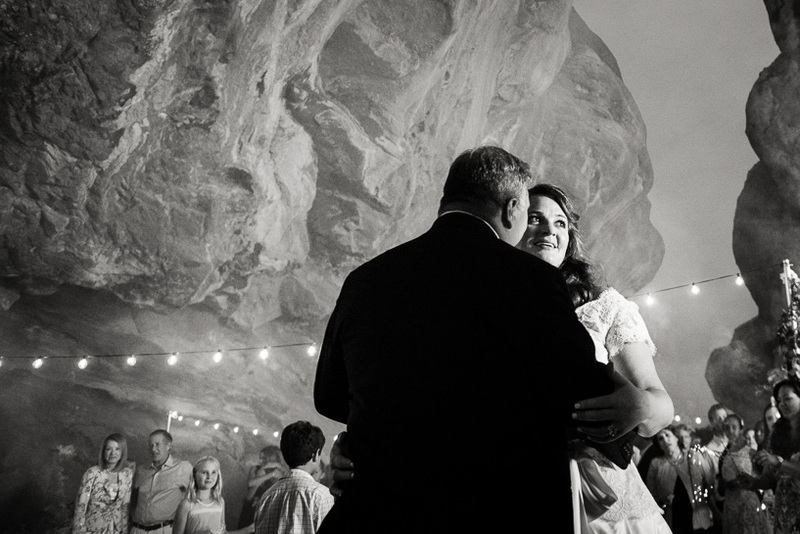 Annika & Keith were married at Willowbrook Amphitheater in Morrison, just south of Denver. It’s a horseshoe-shaped natural rock formation, sort of like a large cave with an opening on one end and a skylight in the middle. It’s one of the most unique wedding venues in Colorado that I’ve been to, perhaps anywhere. They Annika wanted natural wedding photography by a photojournalist, so we are on the same page. Just before the music started at the ceremony, their dog got loose and ran down the aisle into Keith’s arms. The best moments are unscripted, always.